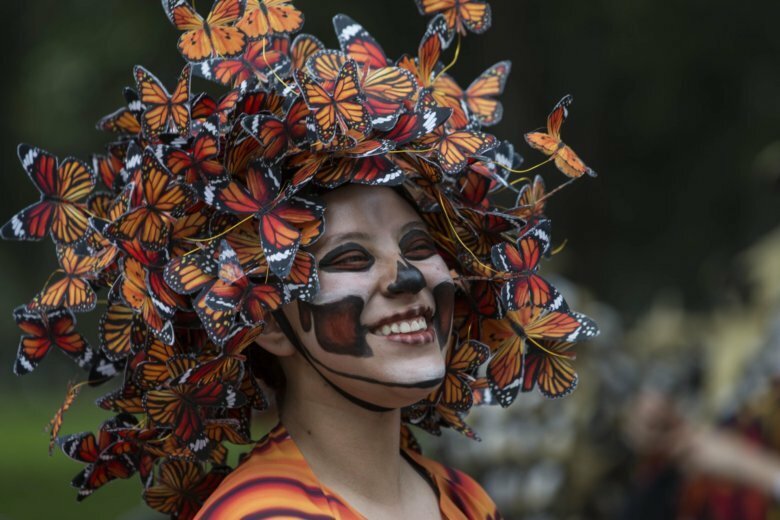 MEXICO CITY (AP) — Towering skeletons and dancers dressed in regional costumes are bouncing along Mexico City’s main avenue, surrounded by orange marigolds, as the city celebrates its third annual Day of the Dead parade. This year’s parade pays tribute to migrants who have lost their lives just as thousands of Central Americans make their way through southern Mexico in a caravan with the hope of starting anew in the United States. At least one migrant has died since the caravan set out from Honduras more than two weeks ago. Mexico’s Day of the Dead celebrations traditionally consist of altars and quiet family gatherings at the graves of departed loved ones, bringing them music, drink and conversation on Nov. 1-2. Saturday’s parade was inspired by scenes in the James Bond movie Spectre.